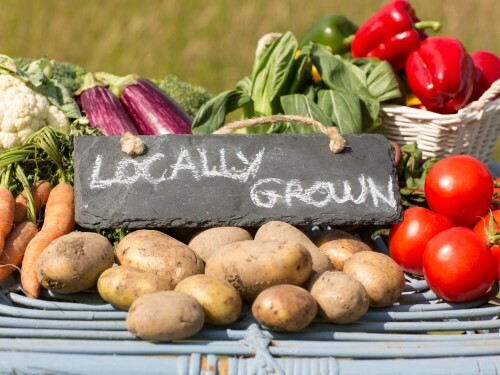 LONDON, Ohio – As the demand for local foods continues to increase, more farmers, growers and food producers are taking advantage of the increasing opportunities to sell their products at farmers markets and directly to restaurants. But making their products stand out from the competition takes some extra effort, says Mary Griffith, agriculture and natural resources educator in Ohio State University Extension’s Madison County office. “Farmers and producers who sell their products at a farmers market or to a restaurant have to depend on relationship building with potential consumers in order to develop a customer base,” she said. “Working in direct marketing is so dependent on building and maintaining relationships with customers as well as setting yourself apart from other businesses that offer similar products. Griffith will discuss this and more during a Sept. 19 presentation at Farm Science Review, which will take place this year from Sept. 18-20 at the Molly Caren Agricultural Center near London, Ohio. The annual agricultural trade show is sponsored by the College of Food, Agricultural, and Environmental Sciences (CFAES) at The Ohio State University. OSU Extension is CFAES’s outreach arm. Organizers are expecting about 120,000 people over the three days of the Review. London is located about 30 miles west of Columbus. Griffith’s 30-minute “Farmers Markets and Beyond: Marketing Local Foods” talk is at 2:30 p.m. in the Farm Science Review’s Small Farm Center Tent at Beef Street and Corn Avenue. A goal of the talk, Griffith said, is to help food producers increase the effectiveness of their marketing by learning how to communicate with their target customers and learning how to differentiate their products from similar sellers. The presentation will also deal with some logistical issues, such as what, if any, licenses, regulations or inspections producers need to obtain in order to sell directly to consumers, she said. Tickets for the Review are $7 online, at participating agribusinesses and county OSU Extension offices, and $10 at the gate. Children 5 and under are free. Hours for the event are 8 a.m. to 5 p.m. Sept. 18-19 and 8 a.m. to 4 p.m. Sept. 20. For more information, visit fsr.osu.edu.